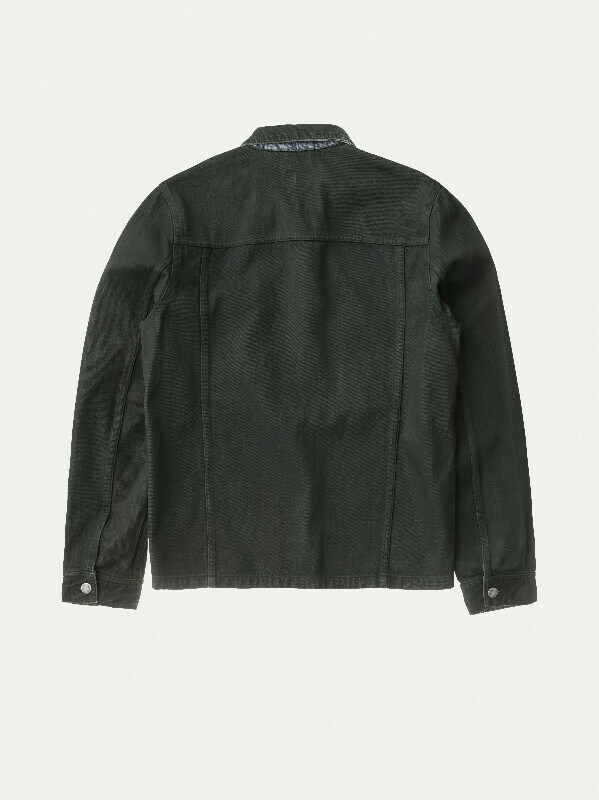 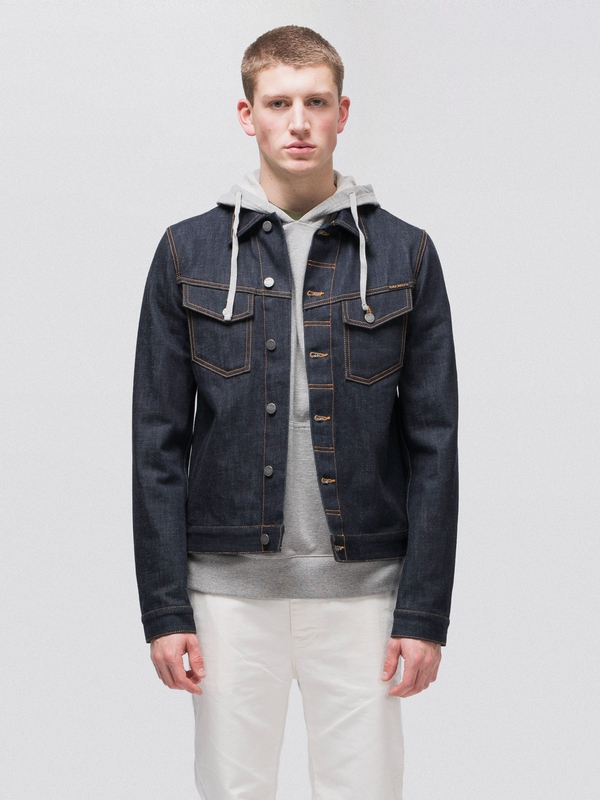 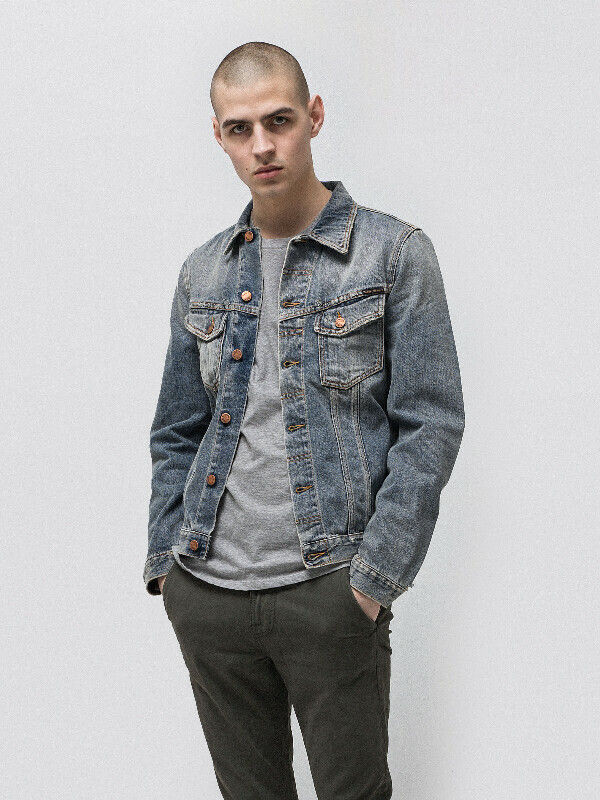 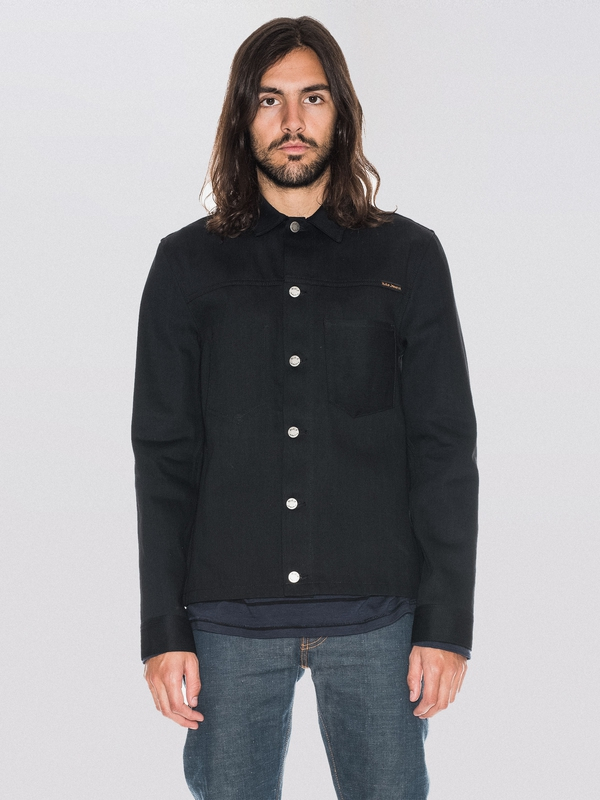 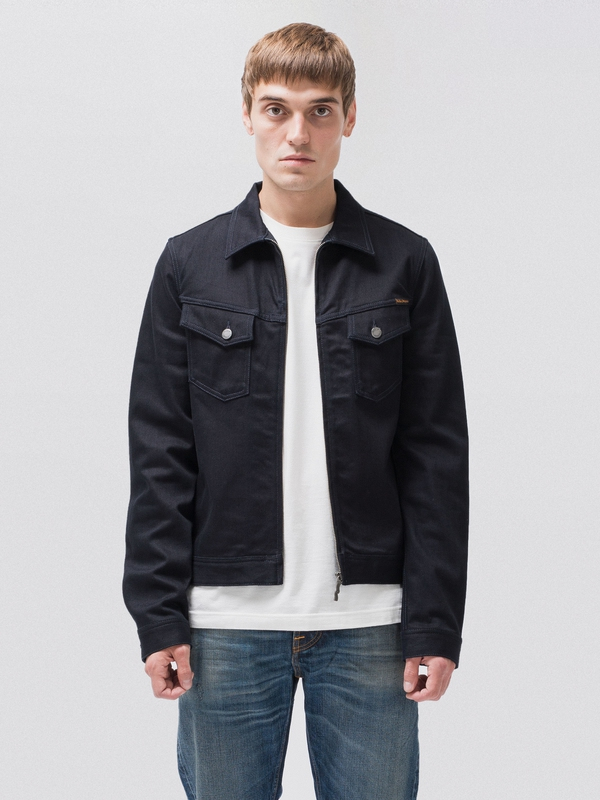 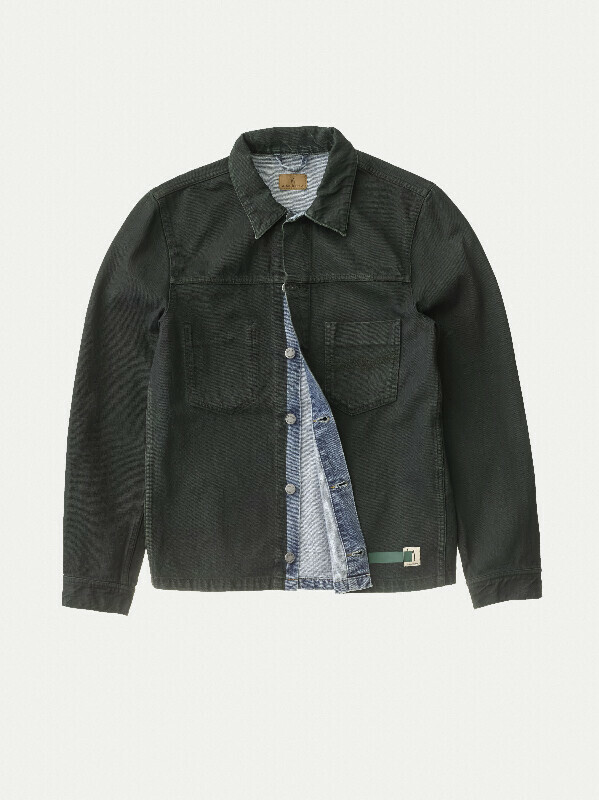 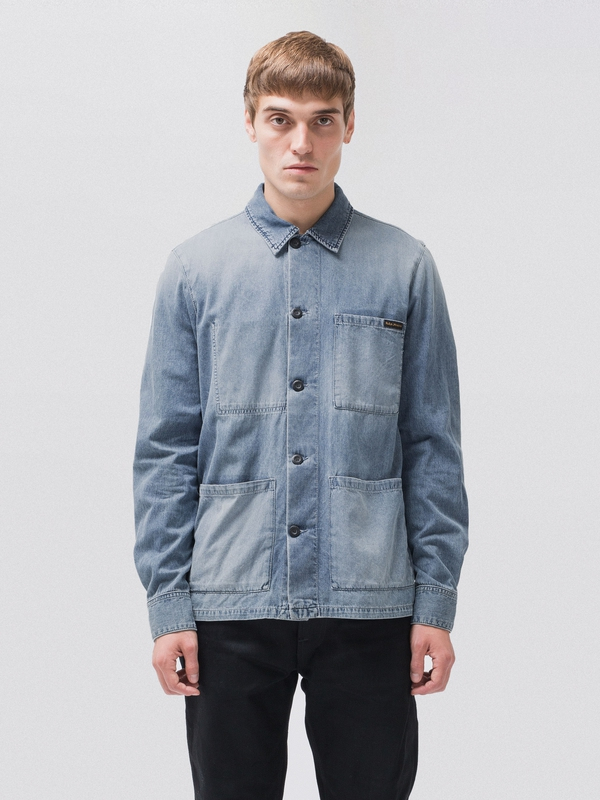 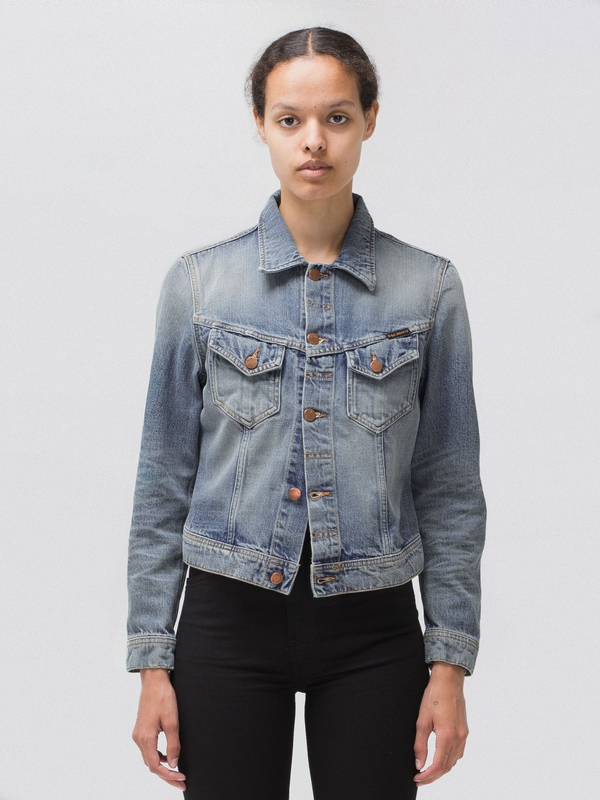 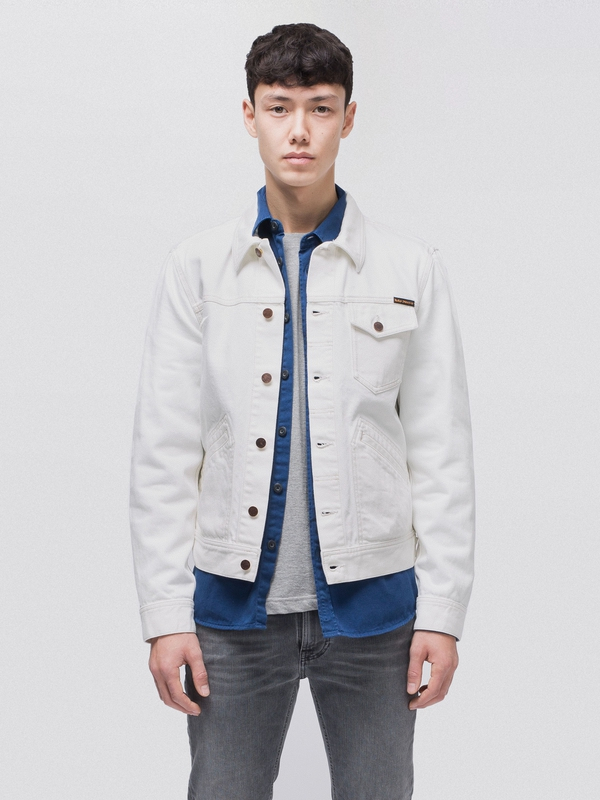 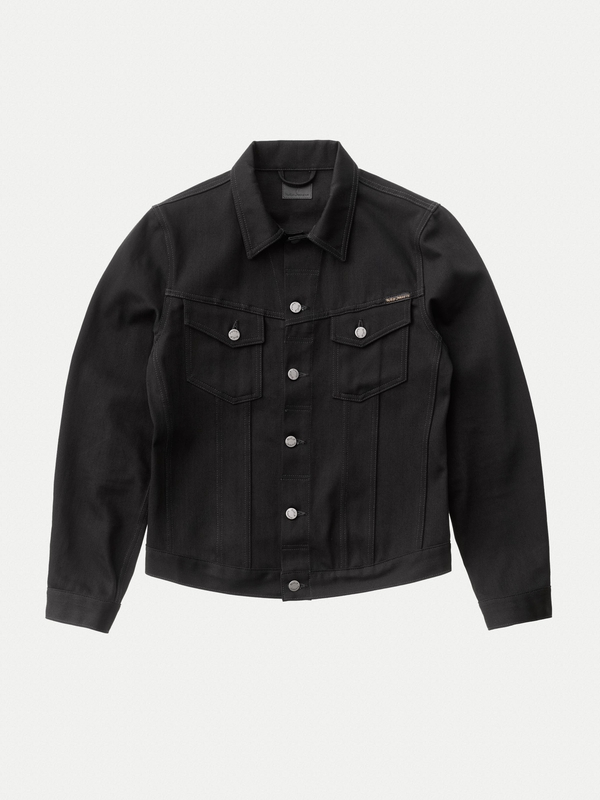 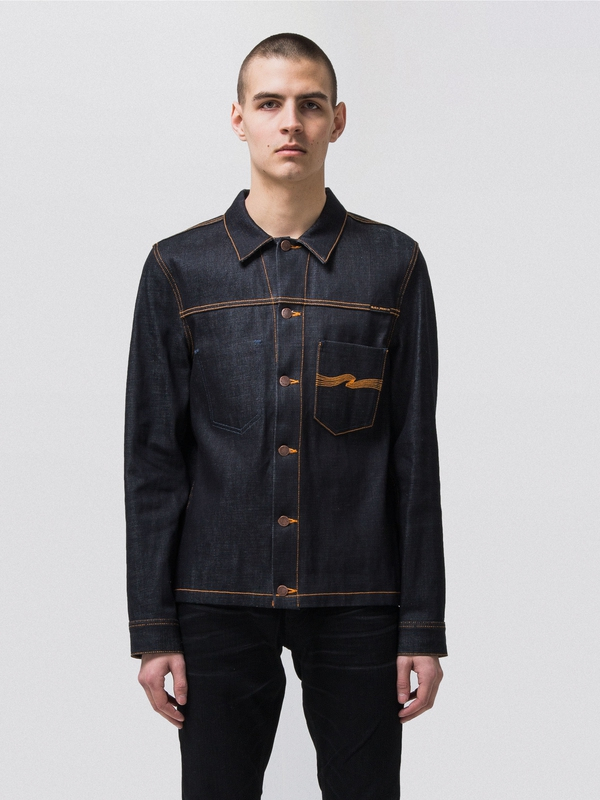 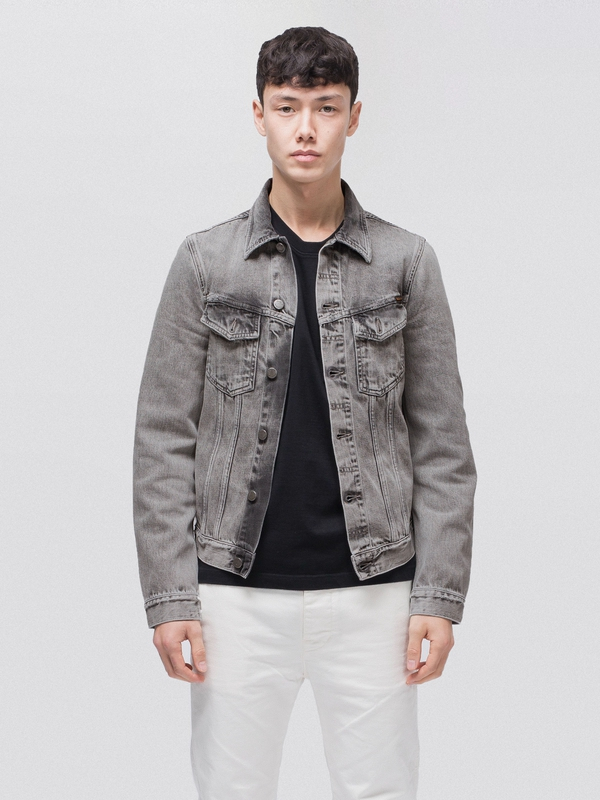 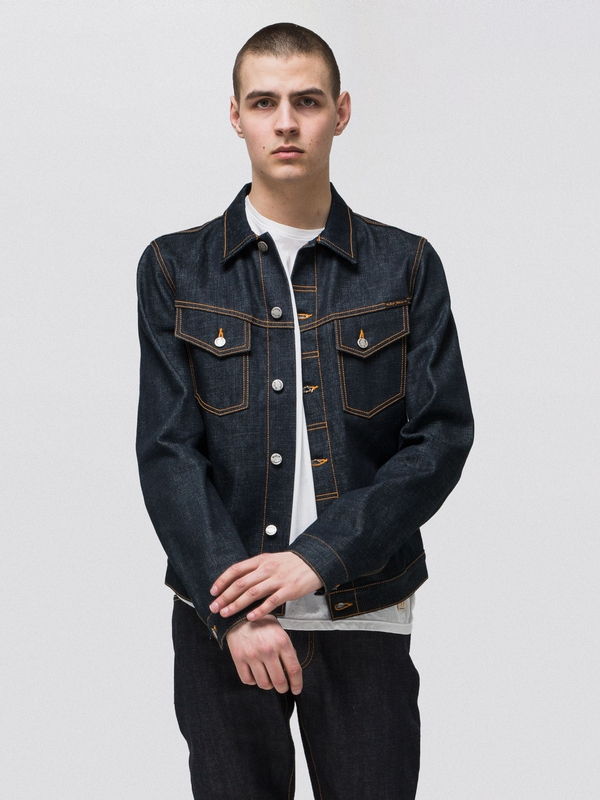 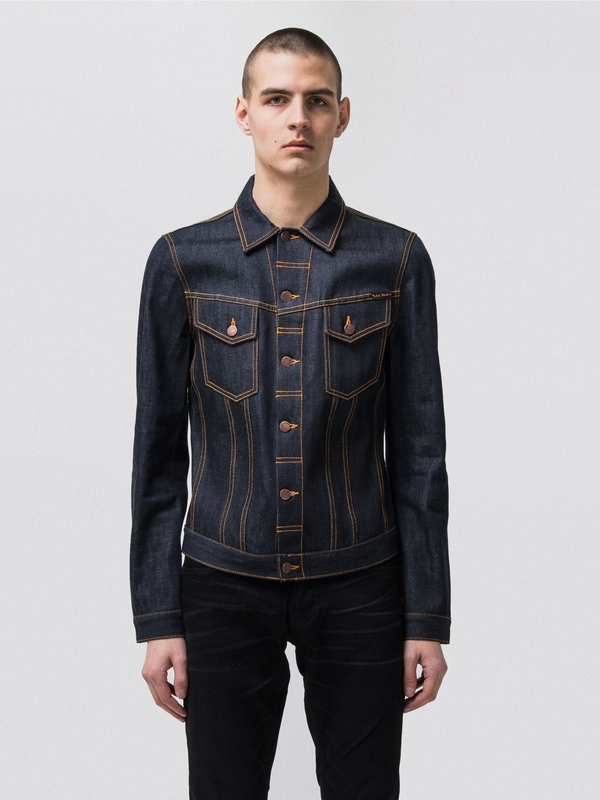 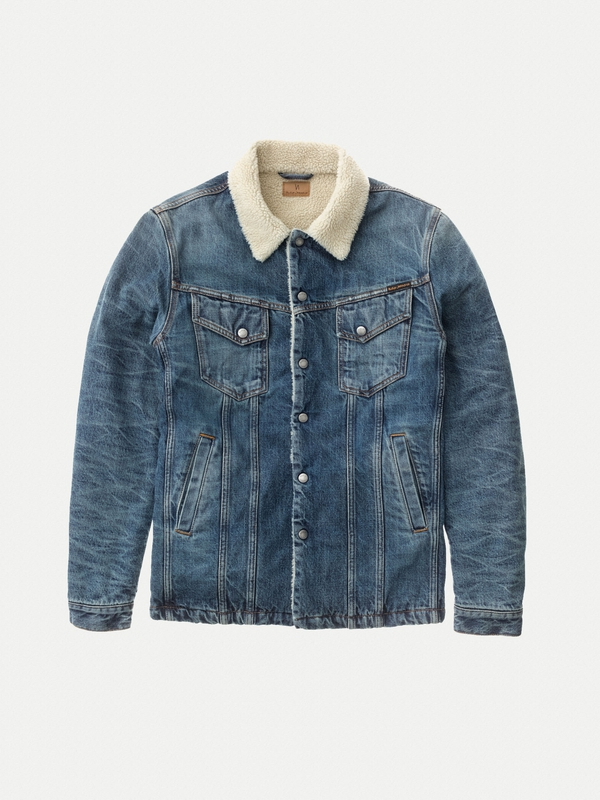 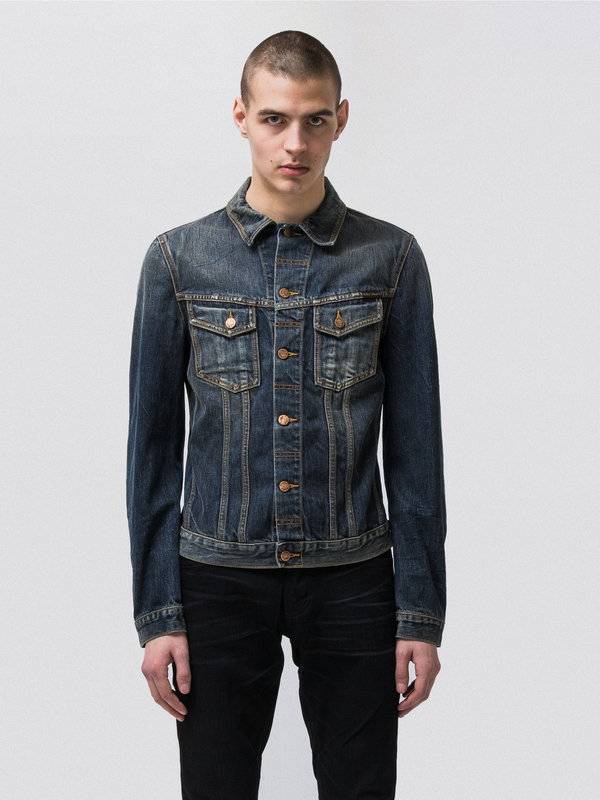 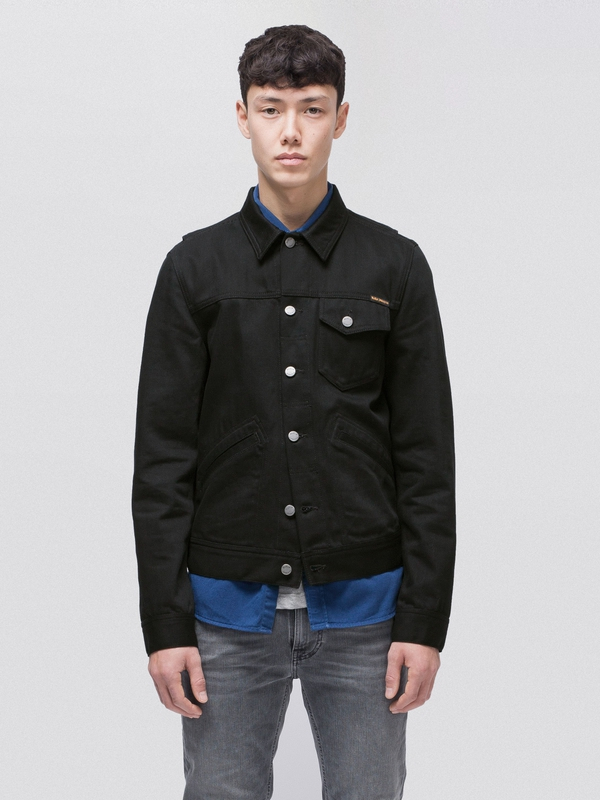 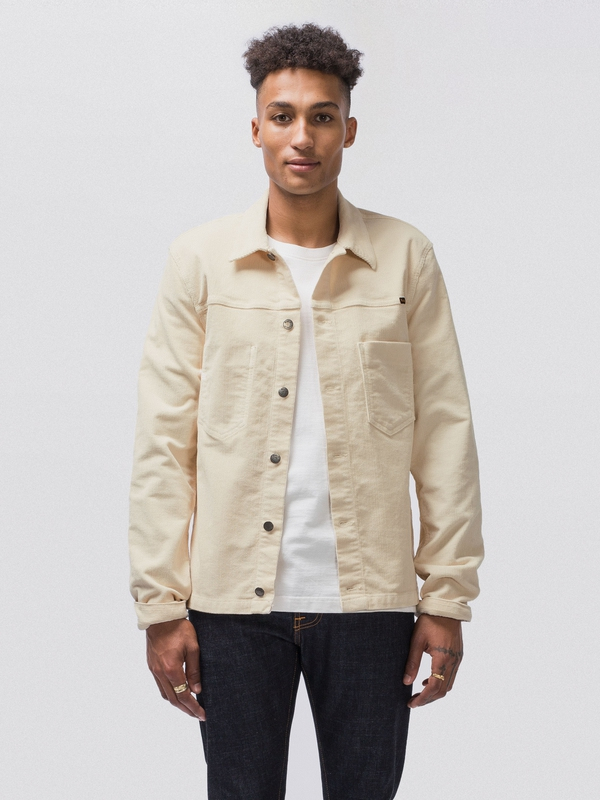 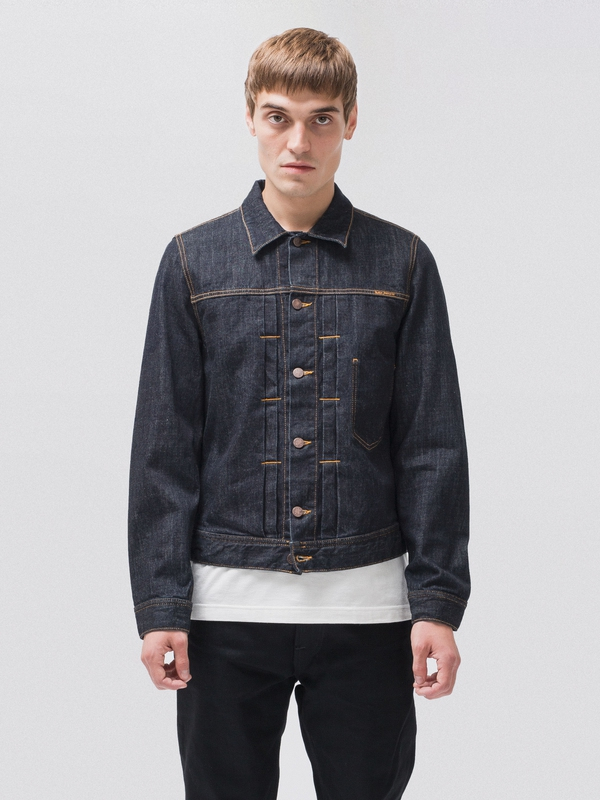 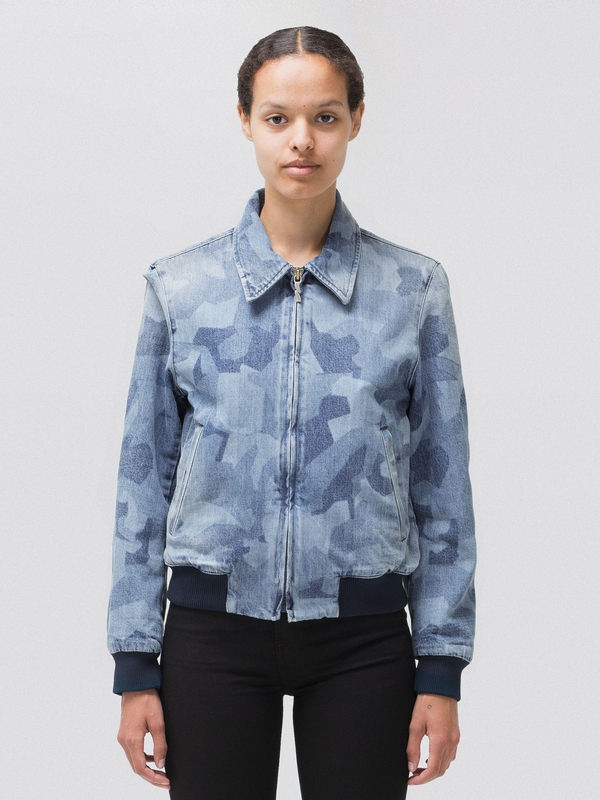 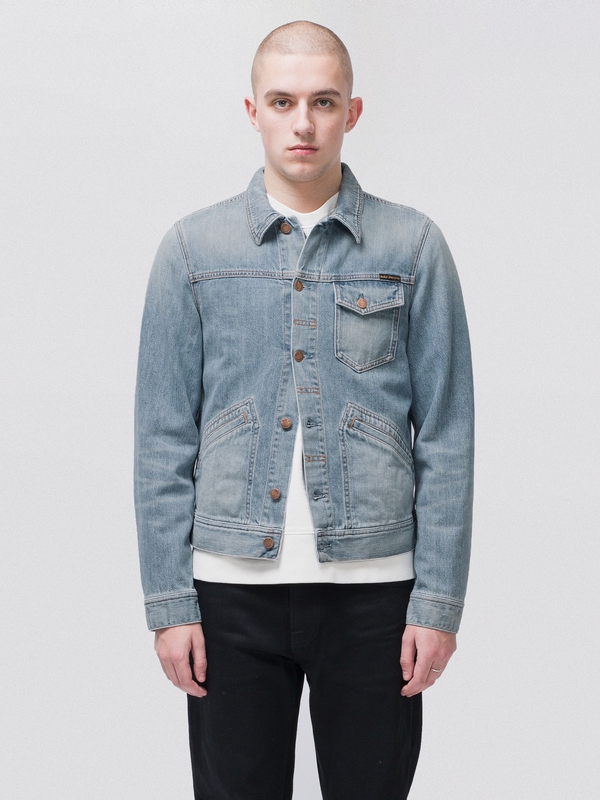 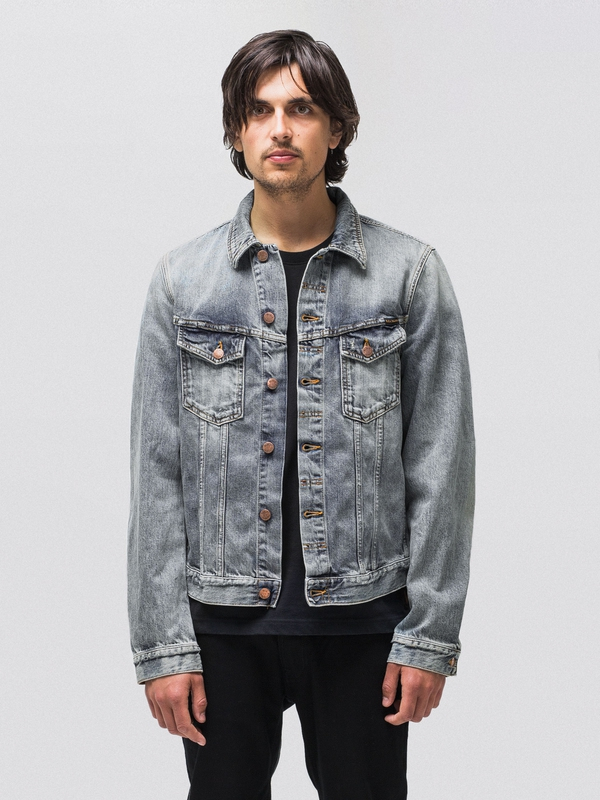 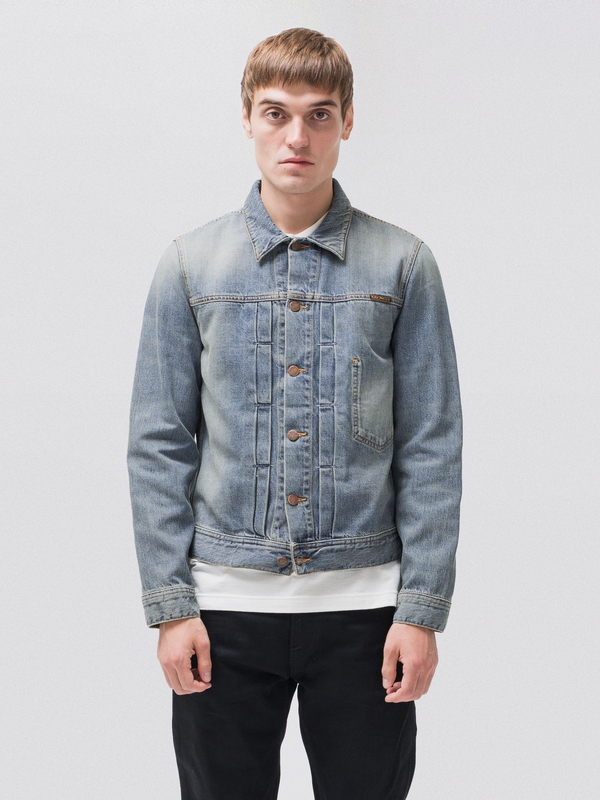 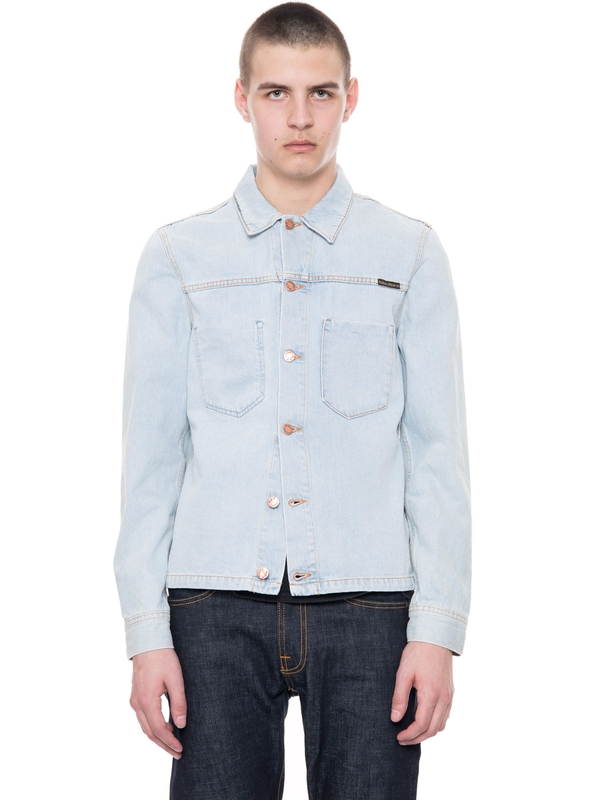 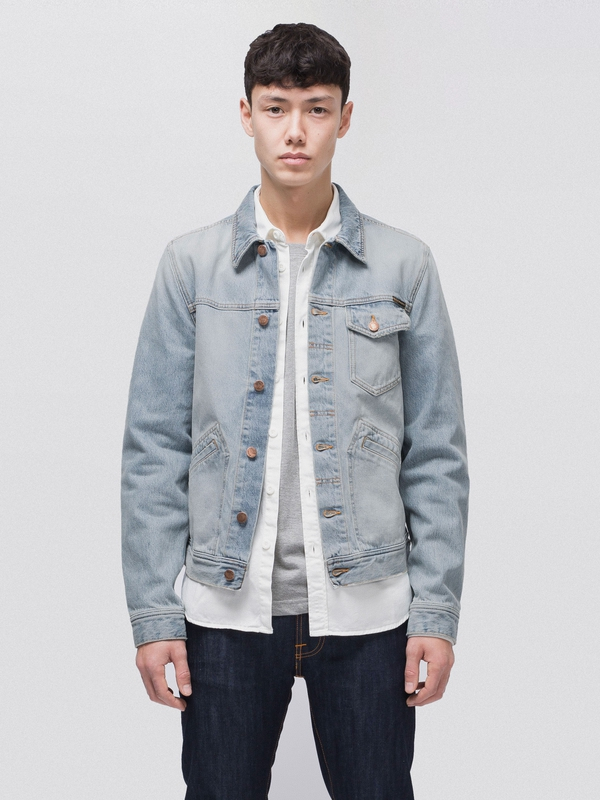 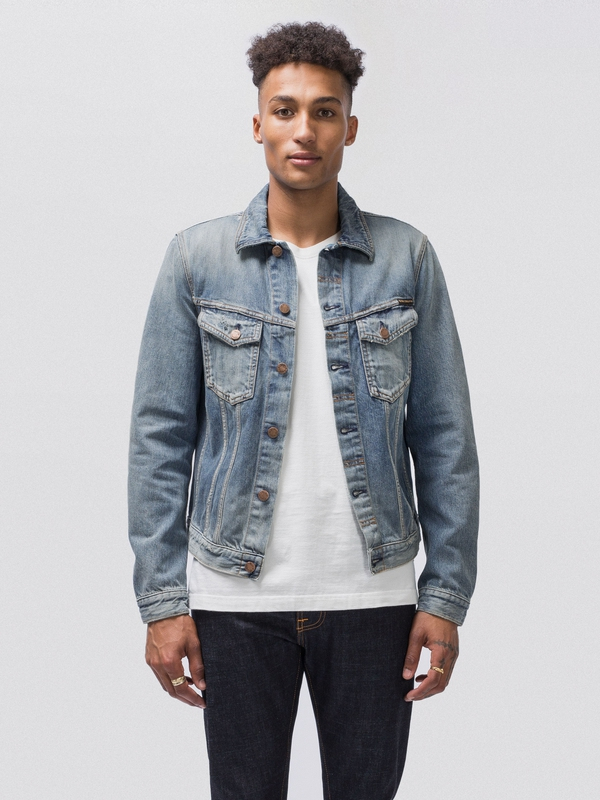 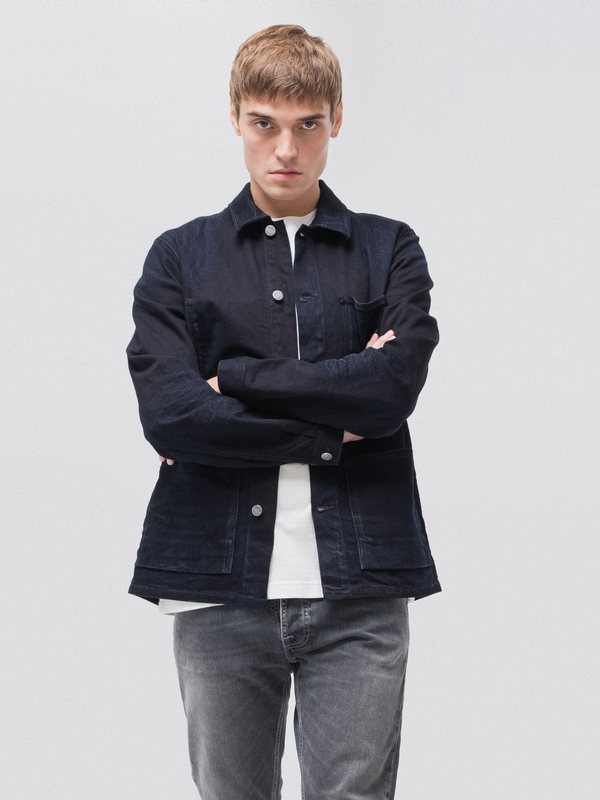 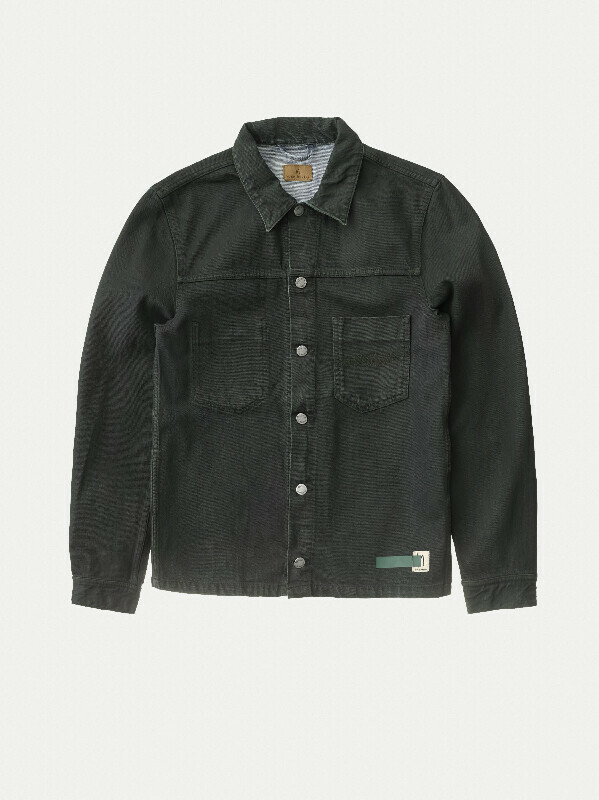 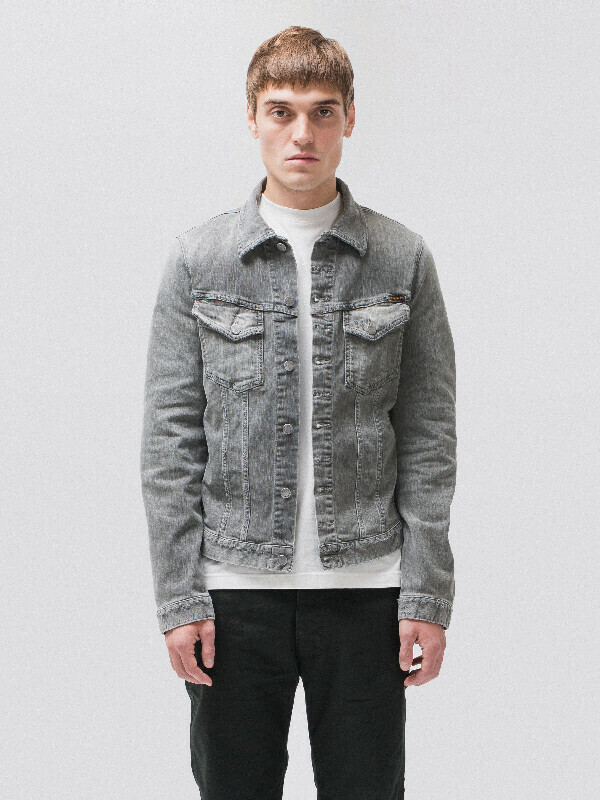 Denim jacket made in rigid denim with a red cast indigo shade. 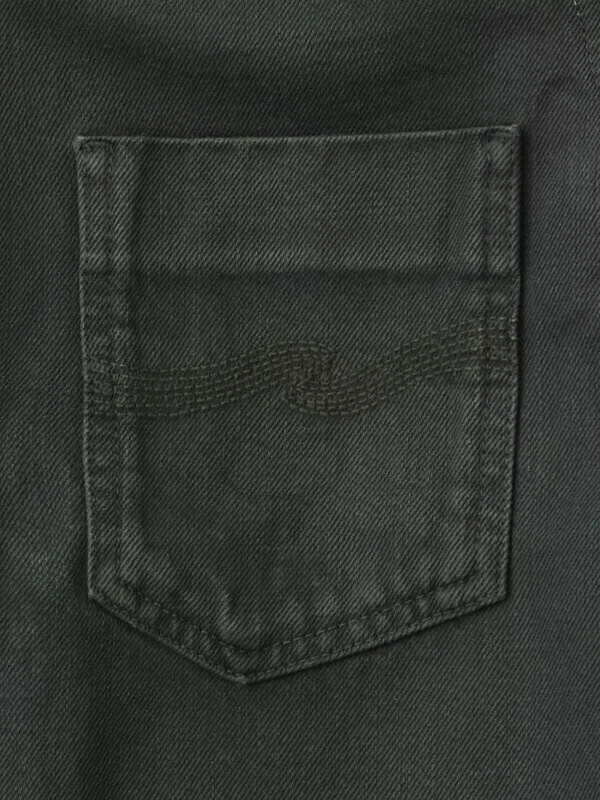 It's been given an authentic worn-in wash and then coated with a green color that will eventually rub off with wear and tear. 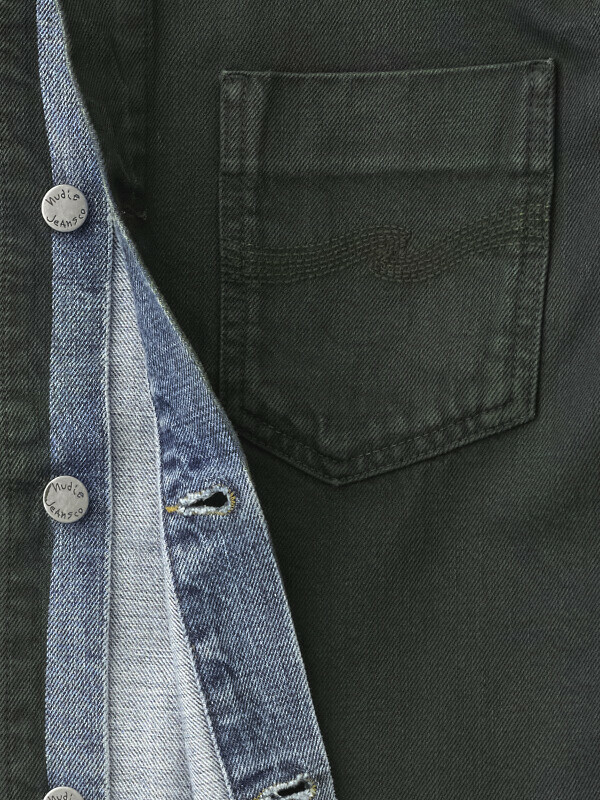 The final look is unknown even to us but we're sure it will be great. 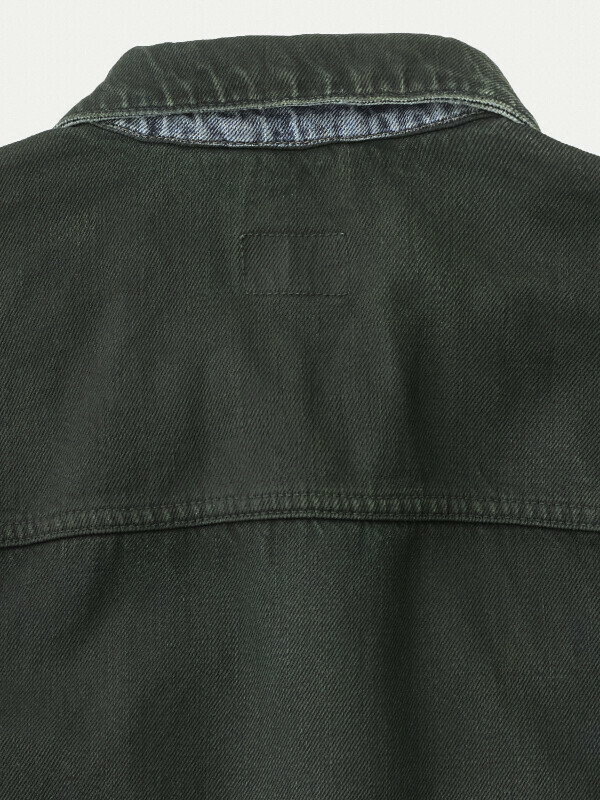 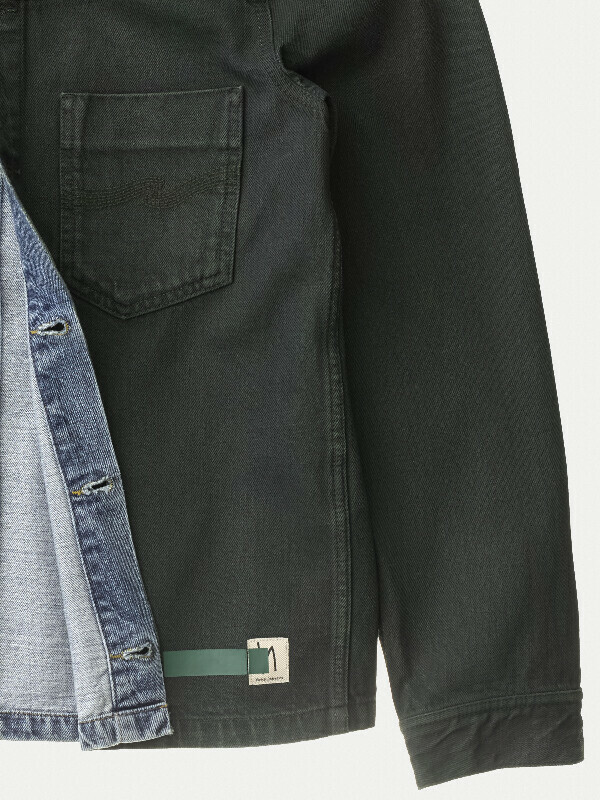 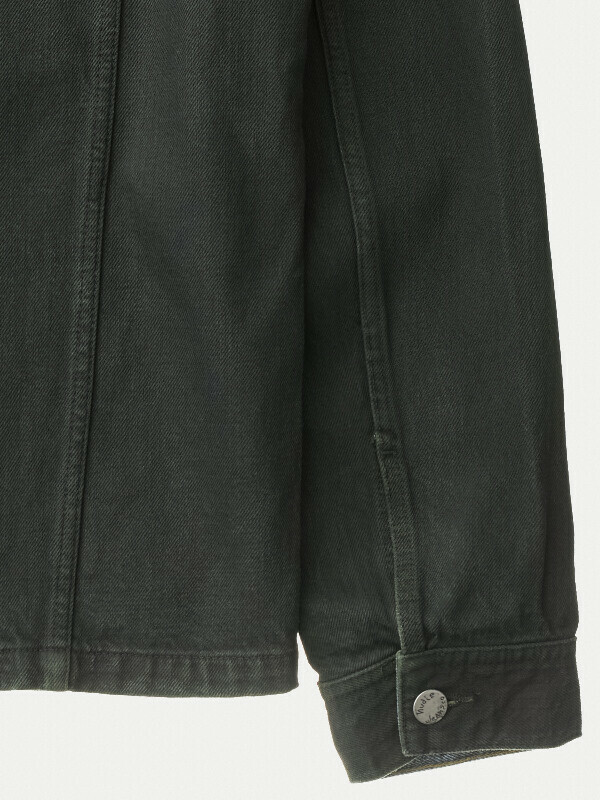 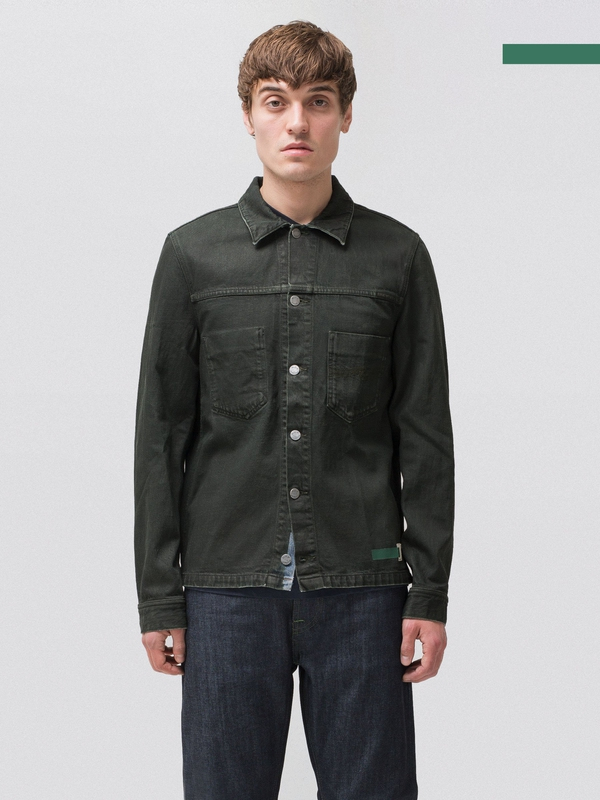 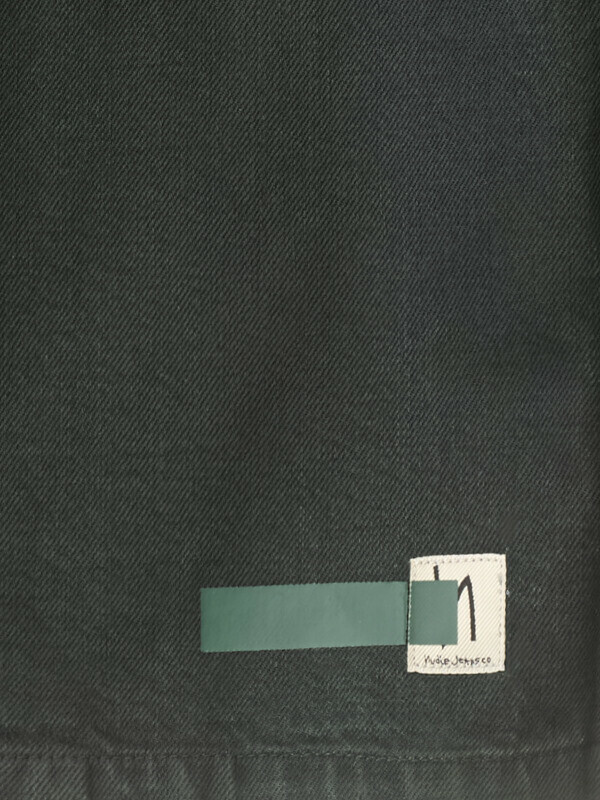 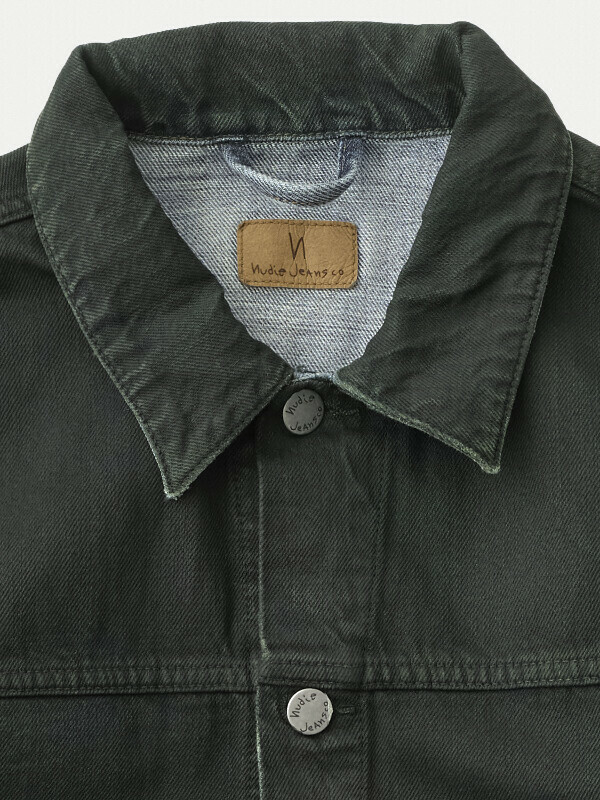 This garment is part of our green_ capsule collection and has a special labeling.